The compact Escape Artist™ Lumbar System equips you with all the efficient tools you need for a successful emergency egress, and allows hands-free operation to ensure a safe edge transition and controllable descent. 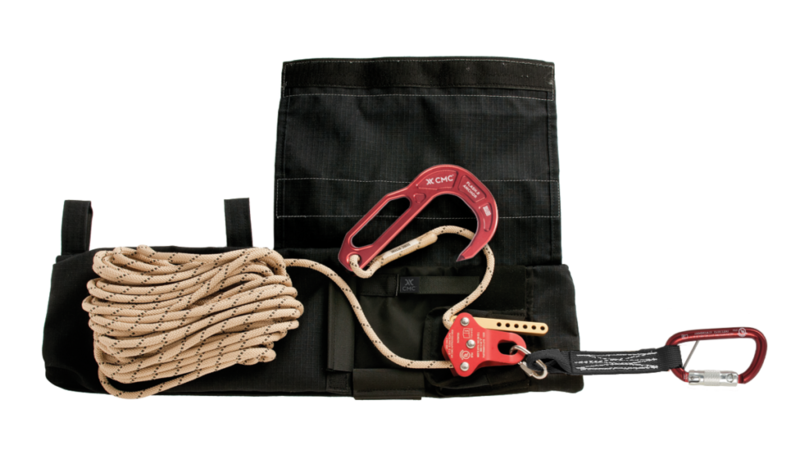 Our Lumbar Bag’s unique design efficiently organizes the Escape Artist™ and rope/web separately and securely, with the new Flash.2™ Escape Anchor readily accessible from its quick-draw style pocket. 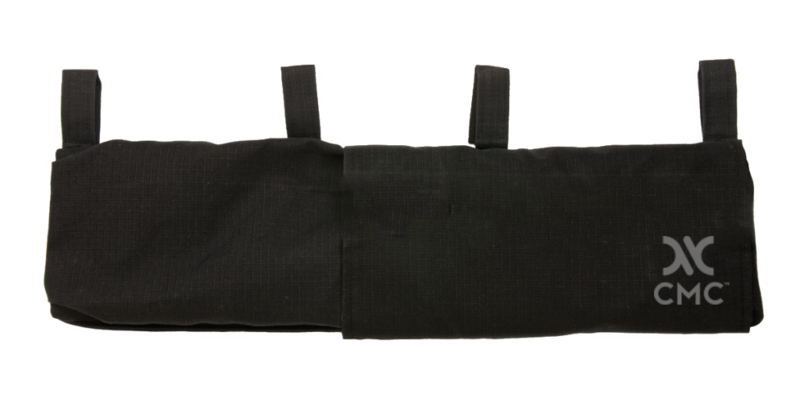 The narrow bag profile provides comfortable, evenly-balanced weight distribution while nesting below the SCBA. 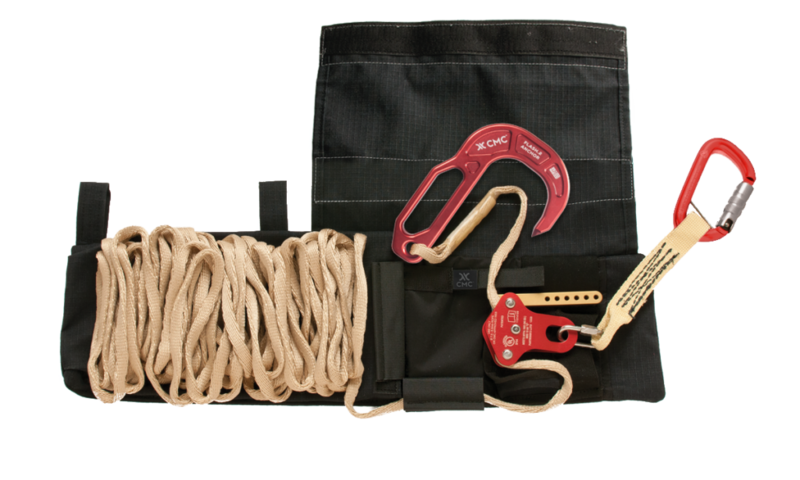 The bag attaches securely to an escape belt or harness with four easy-open, height-adjustable attachments. The durable rip-stop Nomex® fabric offers heat, flame, abrasion, and water resistance and the system is reversible for right- or left-side carry, with hi-viz reflective strips on both sides. The integrated flame- and temperature-resistant components include the Flash.2 Escape Anchor, 50 feet of 100% Technora ProSeries Escape Line (7.5 mm, 32 kN / 7,194 lbf) or Web (11 mm, 27 kN / 6,070 lbf), and a Single-Brake Escape Artist, completely assembled and ready for rapid, reliable deployment. Our 100% Technora Fire Escape Web (11 mm) greatly reduces the profile size and weight of the escape system, making it the optimal lightweight and most compact escape solution available.